Teriyaki sauce is so versatile and easy to make. The Teriyaki chicken wings are finger-licking good. Teriyaki sauce is my most favourite sauce in Japanese cooking. It’s versatile and easy to whip it up. The sauce goes so well with tofu and chicken. You won’t be wrong to cook chicken wings with this prime sauce. You’ll feel like you never have enough. After tasting the first one, I’m so sure that this dish won’t let my daughter - “chicken wing queen” - down. 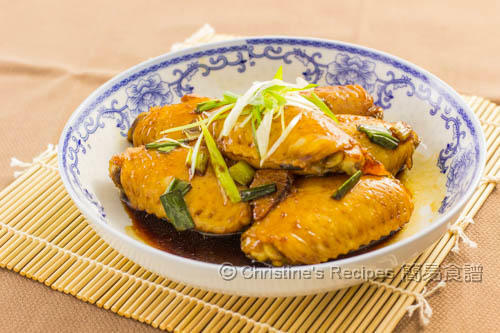 If you have one in the family, give it a go and watch how they enjoy these delicious Teriyak chicken wings. 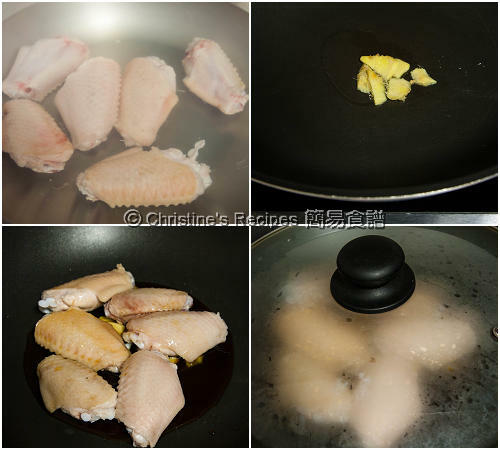 Blanch the chicken wings in boiling water for about 3 minutes to remove any impurities. Drain well. Heat oil in a wok over medium heat. Saute the ginger. Toss in the chicken wings. Pour in the seasonings. Cover and cook until the chicken wings are cooked through. Remove the lid and increase the heat. Cook until the sauce is thickened. Add spring onion. Sprinkle sesame oil. Stir to combine. Serve immediately. The power of every stove is very different. 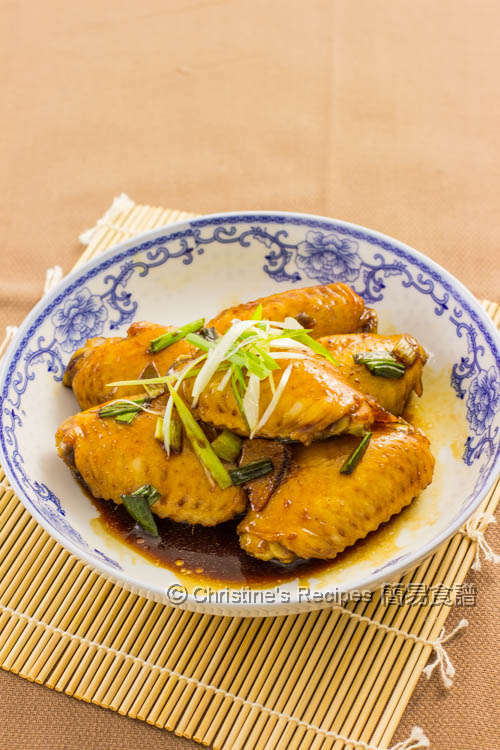 If the sauce dries up too quickly and the chicken wings are not yet cooked through, add some more boiling water and continue to cook until done. Isn't teriyaki a magic sauce?! These chicken wings look scrumptious. Wanna ask what is the difference if I use shaoxing wine instead of japanese rice wine? I actually made with shaoxing wine coz I didnt have the jap rice wine and... my family loved it!! So now curious if I should invest in jap rice wine in my next trial. The fragrance and taste are slightly different. If you get Japanese wine, you won't waste it as you can make many Japanese dishes with it. Oh good on you. Happy cooking then ! If I cook 2 lbs of chicken wings, how to adjust the amount of seasonings?